Do you need to know more about tree removal Logan? You've come to the right place. Maybe you have an overgrown tree, or you need a tree removed in the backyard for safety reasons. The first thing you need to do is learn about the regulations of the Logan City Council. We at Aussie Tree Care know all about these regulations and we're here to help you. Did you know that some trees are classified as protected? 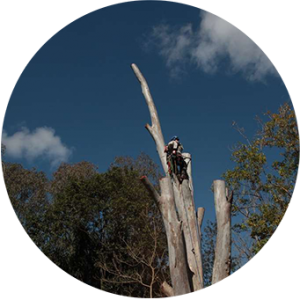 In many cases, you have to obtain written permission from your local council to carry out tree removals in Logan. This all depends on where the tree is located in relation to boundary fences, homes or other permanent structures, as well as the size and species of the tree. That is where a professional tree company like Aussie Tree Care comes in handy. Here is why you need to choose the right service for any Logan tree removal. It takes a lot of time to remove unwanted or overgrown trees. You need the proper tools and equipment to remove large trees. A reputed tree removal Logan company possesses the latest tools and equipment to deal with any type of tree on your property. This helps save a lot of time for homeowners. A good tree service provides great value for your money. Such a company employs skilled arborists who are well-versed in all aspects of tree trimming, maintenance, and removal. They will inspect the trees in your yard and determine the right course of action that needs to be taken. You can hire a reliable tree removal service in Logan at an affordable price. You only need a couple of minutes of your time to do the necessary research. Your research is important when selecting the best tree company in the region. Not all companies offering tree services know what they are doing; a guy with a chainsaw can be a very dangerous thing if they are untrained, uninsured and inexperienced. Make sure you look at their reviews/recommendations and get a copy of their insurance. Do some comparison shopping when picking the right company for the job. Search Google for "tree removal Logan," and you will get a host of companies that operate in the region. Make sure you check the background of each provider before picking your tree removal company. A reputed tree service should have a valid license and adequate insurance coverage such as public liability and worker's compensation. They should work to Australian Standards. Customer feedback is important when finding the right tree service. Check online review sites and forums to see how other clients rate the service of the potential company; check Google and Facebook reviews. That way you can find a reliable company which has been tried and tested by others. This article provides information all about tree removal Logan. Click through to see the Logan City Council regulations here.